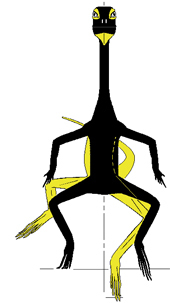 Langobardisaurus is a small (possibly less than 0.5m overall size) prolacertiform with a large, but short snouted skull set on a very elongate neck. 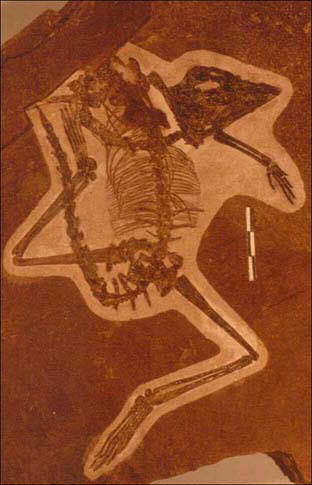 The skull is triangular in lateral aspect with a small rostrum and very large orbits. The peculiar morphology of the skull is undoubtedly related to the pattern of the dentition, which is unique for prolacertiforms. Slender incisiform teeth are followed by bulky tricuspid cheek teeth and a large molariform grinding tooth posteriorly. 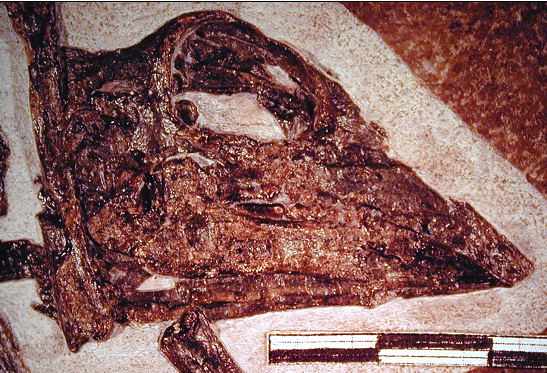 Probably Langobardisaurus fed on hard or though food (crustaceans ?). As in other prolacertiforms the cervical vertebrae are elongate with low neural spines. The tail reaches somewhat more that twice the length of the trunk. 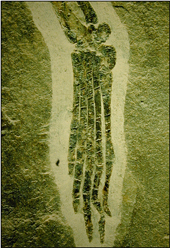 The anterior limbs are slender and much shorter than the posterior ones. The femur is long, narrow, and hollow and the crus is only slightly shorter than the femur. The tarsus is small and compact. The first four metatarsals are long and narrow rods, slightly more expanded at their proximal end than at their distal one. They are closely associated and the proximal ends slightly overlap each other. The fifth metatarsal is much shorter, it is wide and hooked. The phalangeal formula is 2, 3, 4, 5 , 4 with the first phalanx of the fifth toe metapodial like as in Tanystropheus. This elongate phalanx make the pes more symmetrical than in lizards or more primitive prolacertiforms Macrocnemus. 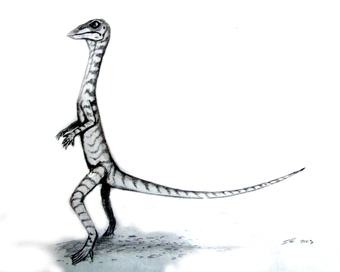 It is possible that Langobardisaurus adopted a bipedal gait during running as many extant lizards like Basiliscus or Dipsosaurus. 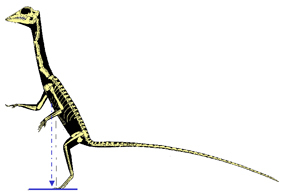 The long neck was not an hindrance to bipedal standing if it was leant back enough to place the head just over the feet, improving balance, as it occurs in the extant frillneck lizard Chlamydosaurus, which adopts a bipedal gait also at slow locomotion.